When I was in my library about a month ago, this title struck me. I just loved it because it is a slogan for all women at one or more points in their lives. And as I started reading this book, its depth and breath was beyond anything I ever imagined. This is the second book that I am reviewing about the voices of strong women for this month’s Canadian book review challenge. 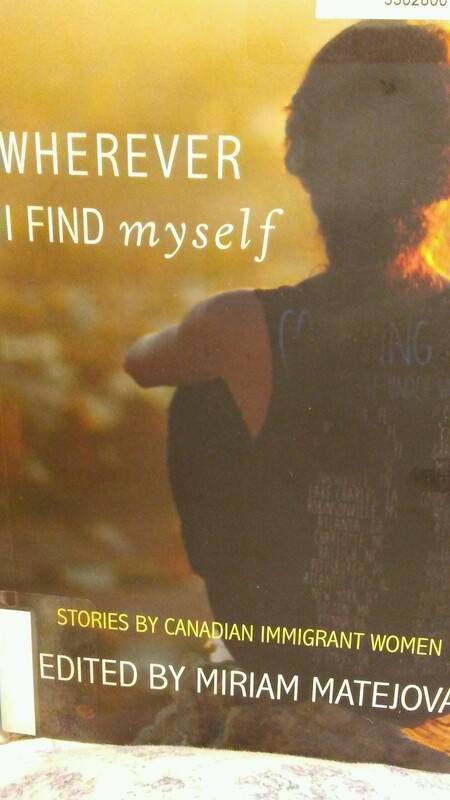 In this anthology in the Canadian women series by Caitlin Press, Canadian immigrant women from a variety of ethnicities and intersecting identities share their diverse and personal stories. These are portraits of women attempting to navigate unfamiliar landscapes, and their desire to be accepted despite differences in accent, sexuality, skin colour, or taste in food. whether home is a place they long to return, desire to create, or hope to preserve in the language of their families, each writer reveals how pieces of their history have brought them closer to, or farther from the feeling of belonging. I could not put down this book when I picked it up. It is as inviting on the cover as it is inside until the last page. This entry was posted in Author from Vancouver, Strong Women's voices, Uncategorized. Bookmark the permalink.